It was a rainy and cloudy weekend so no stargazing this time. We did, however, attend the groundbreaking for what will be a unique public facility: the Geauga Park District's Observatory Park. The park will celebrate nature from the ground beneath our feet to the cosmos of which we are a small part, all under skies recognized as some of the darkest in our region (very good but not great). 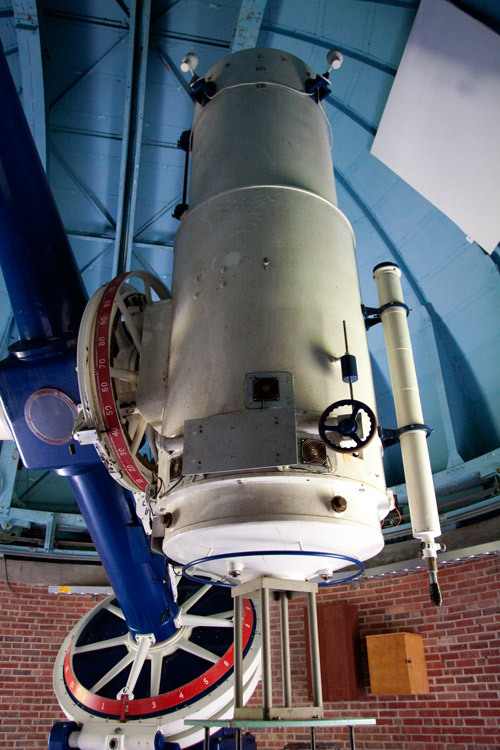 As a part of the development the District acquired the Nassau Astronomical Station from Case Western Reserve University and will rehabilitate its 1957 building and research-grade 36-inch telescope for Park use. A second 36-inch reflector has also been donated to the cause. Park officials expect the facilities to be open for use next year. 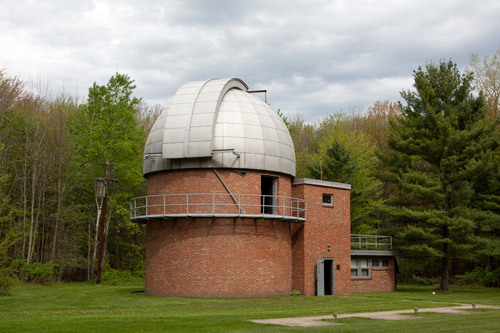 As a boy I dreamed of observatories of the design seen at Nassau (and at Baldwin-Wallace College)… their turret-domes, telescopes, control rooms, and catwalks enthralled me then and now. It was a thrill to visit Nassau this weekend as a part of the Park's groundbreaking. Hopefully the facilities will continue to fascinate and inspire for many generations to come, both by themselves and as stairways to the stars. ← Pardon me if I’m confused. You know, I bet I was 20 years old before I knew that people who live in cities can't see the stars. So much of life one takes for granted. I thought that everyone laid on their backs on warm summer nights and watched the stars slowly revolve over their heads. I have never used a large telescope but I can imagine how breathtaking it would be. I'm glad there are people with enough foresight to preserve things like this. The picture is so interesting of the station. The way the dome is shaped. I would love to have access for my children to such a building. When my girls had a star project, we had a very difficult time, due to fog and a limited amount of area in which to see the stars. It was frustrating. We had to get an extension on the project. But she finally did see what she needed to.